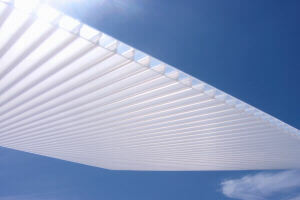 compare solexx with polycarbonate sheeting! When you compare solexx with polycarbonate sheeting, features, qualities and duribility what do you get? 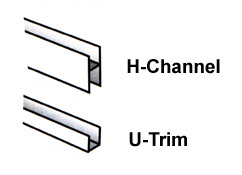 Panels measure 4'-1" x 8'-1" or 4'-1" x 12'-3". Available in commercial (5 mm) or standard (3.5 mm) grades. 5 mm panels are more rigid and provide a slightly higher insulation factor. Our corrugated plastic panels like most plastics, will expand and contract as temperatures change. 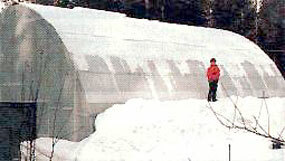 As the panels warm from the inside, the snow slides off this custom structure in Spirit Lake, ID. White Galvanized Screws White galvanized screws with 1/4" hex head secure covering to greenhouse frame. No pilot hole required. Soft neoprene washers seal out moisture. Use 1" screws for wood or PVC frames and 3/4" self-tapping metal screws for metal frames. Have FUN and enjoy exploring our greenhouse website!